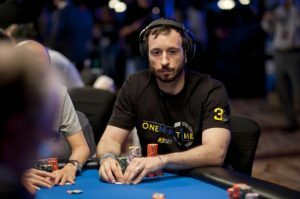 Brian Rast had a really, really good, and then a really, really bad day at the recent Aussie Millions. Rast is a well-known, well-liked, and accomplished tournament poker player. 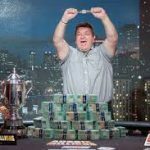 At the Aussie Millions, he was able to win a major tournament at Melbourne’s Crown Casino, and won $315,000 in the process. But shortly after winning the event, he entered a high-roller tournament that required a $250,000 buy-in, and was eliminated on his third hand of play. Certainly, nobody is faulting Rast for “letting it ride” and taking his winnings and parlaying them into an entry into a high-roller event, considering he had more than $50,000 leftover if the worst case scenario played out. The story begins with Rast entering the 2015 Aussie Millions Poker Championship and besting 648 players. For his efforts, he finished in fifth place, and grabbed the $315,000 5th-place prize that went along with it. Since Rast paid $10,600 to enter the event, he profited $304,400 from that single tournament alone. (In a side note, the tournament was eventually won by Australia’s own Manny Stavopoulos for $1.38 million). In Rast’s case, after being eliminated from the tournament around dinnertime, he was able to weigh his options. A super high-roller poker tournament happened to be running at the same time as the final table for the Aussie Millions at the LK Boutique. Registration happened to still be running to the $250,000 buy-in poker tournament, thanks to an early morning late-registration window. As many tournament players already know, late entry into a poker tournament means that your stack will be smaller to the average one and that you will be (or immediately are) short-stacked in the event. It means that the big moment where you have to gamble on good odds with a preflop all-in comes a lot sooner than would ideally happen otherwise. This scenario is exactly what happened to Rast. On just his third hand of the super high-roller tournament, he shoved all his chips in with A-T. His opponent called with A-Q and Rast failed to improve. After only a few minutes and with $250,000 hard-won currency invested, Rast was eliminated. And for those of you wondering, that other LK Boutique Super High-Roller event was won by none other than poker superstar Phil Ivey, who won $2.2 million for first place. Brian “tsarrast” Rast currently calls both Poway, California and Las Vegas, Nevada home. The American pro has two World Series of Poker (WSOP) bracelets, both won during 2011. His first was in the $1,500 Pot-Limit Hold’em event for $227,232 and his second was in the $50,000 Player’s Championship for $1.72 million. This event also awards the David “Chip” Reese memorial trophy and in poker circles, is regarded as the most prestigious event among the pros at the World Series of Poker. 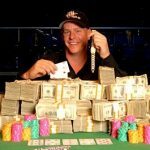 According to multiple online poker databases, his total live tournament earnings exceed a whopping $7.9 million, with his biggest cashing coming courtesy of the aforementioned Player’s Championship at the 2011 WSOP. Rast is also a very accomplished online tournament player. He’s won about a half-million between Full Tilt and PokerStars, with his largest cash for an online event amounting to just over $144,000. oh poker, you cruel mistress with your massive ups and downs. why do i love you so? Poker players will never get truly wealthy. Most are fooled by randomness and think they have a huge edge over others, then blame variance when luck turns the other way. Denial, gambling addiction, thats all it is. Dwan is broke, Ivey is broke. Howard Lederer is rich, but not from poker. Ivey can’t be broke. I just saw the guy on a new Chrysler car commercial. He’ll always have sponsors and stuff to keep him afloat. To buy into a tournament with a severe disadvantage for 250K means you can probably afford to lose that money. He’s a pro I’m sure he knew what he was getting into. Besides like we see he was already up pretty big. But who am I to say? lol high roller buy in tournaments for me are $200/$1000 buy ins. I’ll probably only see 10K buy ins in my dreams. THIS GUY PLAYS IN THE BIG ONE FOR 1M…REMEMBER HIS NUT FLUSH GOT BEAT BY SAM TRICKETTS QUADS IN THE BIG ONE FOR ONE DROP 1.1M BUYIN…HES MARRIED TO A BRAZILIAN…PLAYS ALL TYPES OF CARD GAMES NOT JUST HOLDEM…SO HE LOST HIS BUYIN….IDGAF…. I think you’re all very wrong. I don’t think you guys understand poker he was still 50 up that tournament turned out great for him. He took a stab at high roller because he might have felt that crowd is half weak which gives him the good edge he just needs one quick double up before realistic play. He got unlucky knew the risk but that’s poker. 50 k is a good result for overall performance and created chances. It’s all about prestige my friend that’s what those high roller tournaments are for. If he cashed or won hed be making history in this field. In this short life you don’t have many chances money is not everything but playing the game you love and making a name for yourself and still going 50 k ahead is something not many had chance to do. Late registered to shove Ace Ten for 250.000$? Better gamble that money in roulette.